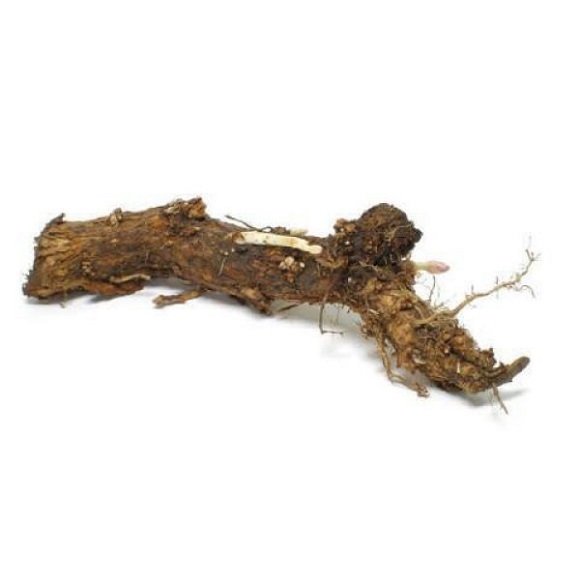 Note: Hop rhizomes are available for in-store pick-up only. 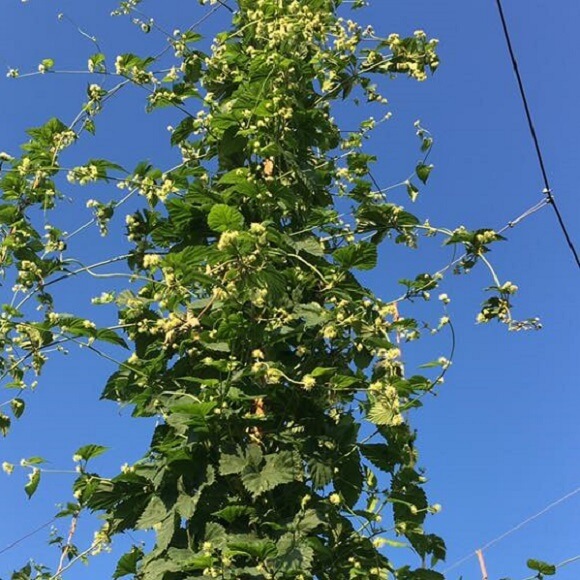 Hop bines are grown from rhizomes, which is a piece of the root that is cut from an established female plant. The rhizome is then planted in late March or April. The hop rhizomes that we carry are from established plants from Ella J. Farms in Longmont, Colorado and grow extremely well in our climate. As these are live roots, we cannot guarantee their growth. But we have been using rhizomes from Ella J Farms for the past three years and have had great success with them and expect that you will too. Cascade: The classic finishing hop for countless craft ales, Cascade’s unmistakable character is right at home in pale ales, blondes, wheats, IPAs, stouts, porters and pretty much any American craft style. Can serve as a soloist in single-hop formulations. Chinook: Dual purpose. Thanks to its high alpha content and moderate co-humulone, Chinook delivers potent, smooth bitterness but also contributes specific pine notes highly desirable in an IPA dry hop. Crystal: Unsurprisingly, given its Hallertau parentage, Crystal excels in continental lager and wheat styles, as well as Belgian ales. But since it also includes some Cascade, some enterprising craft brewers put it to use in their IPA hop loads as well. Mt Hood: With its noble heritage, Mt. Hood is an excellent choice for pale lagers, wheat beers, and German or Belgian ales where a refined aroma with low to moderate bitterness is desirable. It makes a good substitute for German-grown Hallertau varieties. 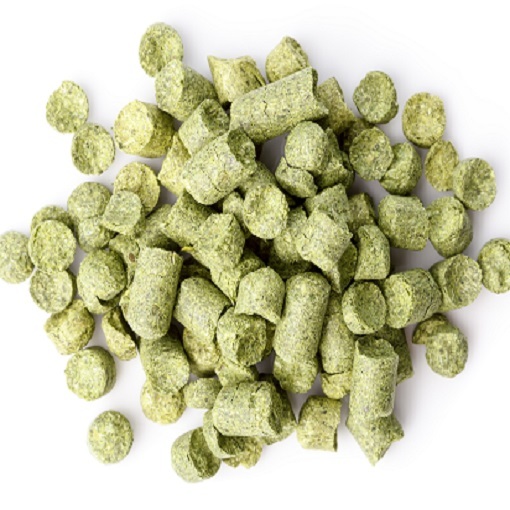 Nugget: Known best for the smooth, clean bitterness it imparts, Nugget can also be put to use as an aroma hop. It is right at home in most American craft styles, especially those for which hop bitterness is a primary component. Tettnang: Originating from the Tettnang region on Lake Constance in Germany, Tettnang (or Tettnanger) is from the Saaz group. It displays fine, noble characteristics with a slight spiciness. It is a classic European noble hop. Tettnanger’s complex and delicate flavors make it ideal for traditional German lagers, particularly Bavarian styles, Weissbiers, and German or Belgian ales.